Posted on April 24, 2018 at 2:18 pm. On June 8, the second annual #HAVhope Friday will focus national attention on ending all forms of violence with a digital media campaign – shared tweets, posted photos and other online efforts. 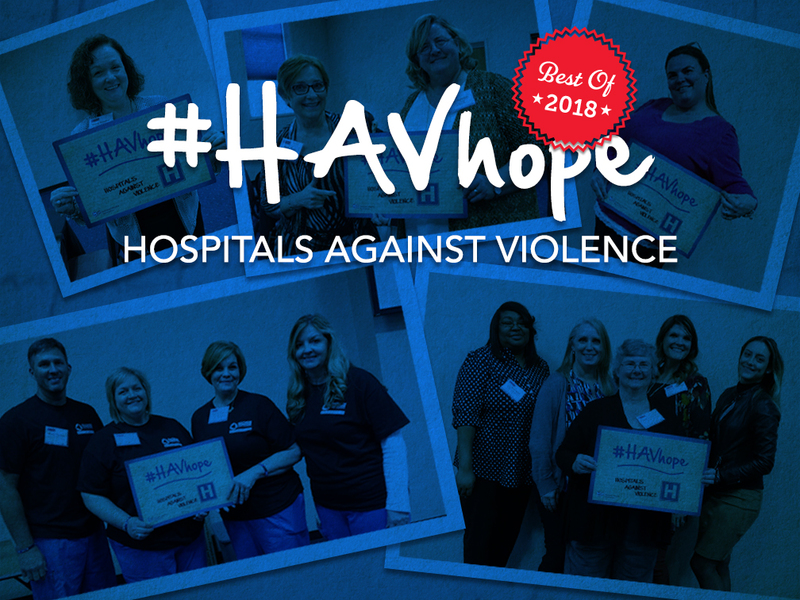 #HAVhope National Day of Awareness unites hospitals, health systems, nurses, doctors and other professionals from across the country, as well the local and national organizations they work with, to combat violence through the use of digital media. Violence is one of the nation’s major public health and safety issues, both in our communities and workplaces. How can your organization become a #HAVhope day supporter? Sign up to become an organizational supporter of #HAVhope Friday. Hospitals, health systems and other community organizations, including clergy, law enforcement, clinics and other volunteer and professional organizations, are welcome as supporters. All supporters are asked to do is share a photo holding hands with their colleagues or community partners and a short description of their commitment to combating violence with link to their website. Photos and descriptions will be displayed at the AHA PreventViolence website. How can you support #HAVhope day? Share a photo of yourself holding hands with others in your community or workplace committed to combating violence. Photos will be displayed on the AHA PreventViolence website. To share #HAVhope messages on social media, download AHA’s digital toolkit.